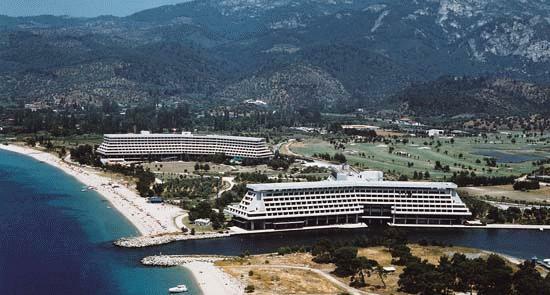 Welcome to Casino Magic Porto Carras, Greece! From the extraordinary architecture to the tremendous excitement of the American style casino, the new Casino Magic here in Porto Carras is a place you have to visit to experience! We've got 445 exciting slot machines, each with the winning capabilities of large cash jackpots or a variety of luxury merchandise! 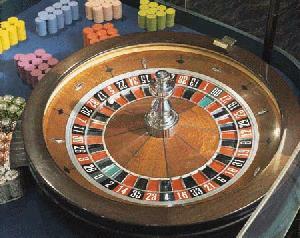 The casino also offers 37 gaming tables, featuring blackjack, roulette, and baccarat. All the thrills and excitement of Las Vegas - right here in Porto Carras! Located within the Sithonia Beach Hotel, the 3000 sq meter casino reflects the fun and fantasy of the world-famous city, New Orleans. Stroll down Bourbon Street. Marvel at the dome ceiling that gradually changes from blue skies to a starry night before your eyes. See the largest stained glass dome ceiling in the country. And experience the tremendous interior design detail. Beyond the lights, glitter and glitz, and interior design that will make this casino Greece's (and perhaps even Europe's) most unique and exciting casino, the overall theme is "fun" - a casino for everyone! From the extraordinary slot machine area and the main gaming floor, to the exclusive, world class salon privee - a tremendous pride in workmanship, elegance, and style. As the Sithonia Beach Hotel enters its change into a first-class casino resort hotel, many improvements are underway, but none more important than the changes to the food department - creative culinary menu selections, gourmet to casual dining, and buffets that will defy belief! From beach parties to theme nights. And, entertainment to top off your visit to Casino Magic as a memorable, fun-filled, and exciting occasion! But there's even more to do and see! And even a marina with berths for 180 vessels! That's why we call it "a casino resort for everyone!" "The excitement you'll always remember - the experience you'll never forget!" These pages are designed and maintained by WebPub Communications. Copyright 1995,1996 by Casino Magic Corporation, all rights reserved.